Florida, the Sunshine State, we’ve all heard of it and the attractions it has to offer. Disney, Universal etc. We all know them but below are some of the places that aren’t always talked about, places where you’re less likely to find tourists and more likely to find locals. As with my Scottish Travel Guide where possible I have include the Wiki sites of the places mentioned and all the links open in a new tab/window. Titusville – Titusville is a small Florida town that is a gateway to some amazing places. However don’t just drive through it. 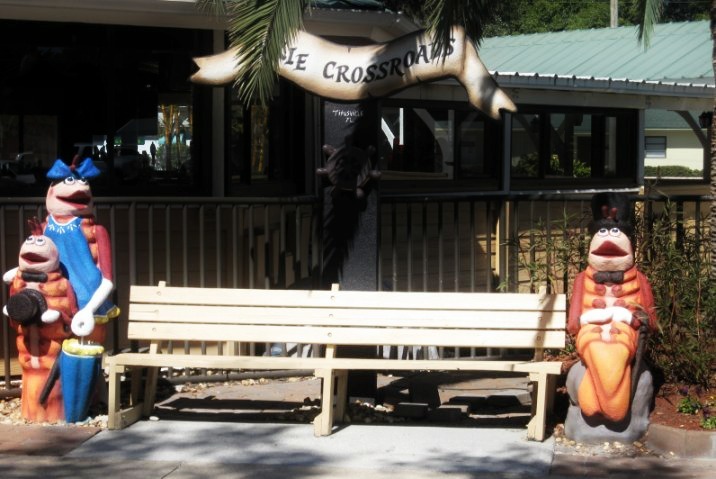 If you’re a fan of seafood then you have to visit Dixie Crossroads where they do amazing Rock Shrimp and one of the nicest Key Lime Pies I’ve found. Be sure to check out the water they have around the restaurant where you’ll see Turtles and Fish as well as their Shrimp statues (above) that are fun to take a selfie or two with! 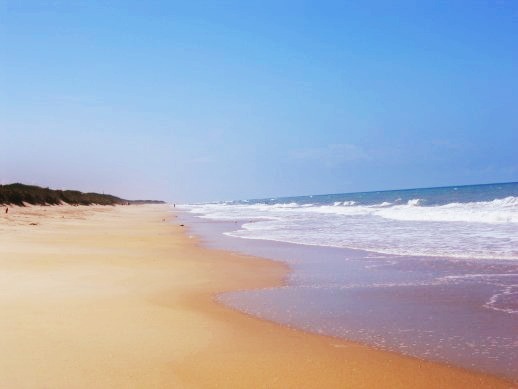 Canaveral Seashore – The Playalinda Beach (Spanish for beautiful beach) is only $5 a day to park up and really enjoy the Florida weather and is close to Titusville. When we went the sea was as warm as bath water! As you can see from the picture (above) it wasn’t as full as Brighton Beach on a Summers Day that’s for sure! Merritt Island National Wildlife Refuge & Blackpoint Wildlife Drive – Again close to Titusville and well worth spending some time at, especially if you enjoy wildlife. You’re bound to spot Alligators, Turtles, Bald Eagles, Osprey, Water Fowl and Herons all in their natural habitat. Old Haulover Canal – Come straight out of the Wildlife Drive and head to the Old Haulover Canal to view Manatees swimming right up to the shore so long as it’s the warmer weather months you are pretty much guaranteed to see them. Above are three we spotted one time we went. 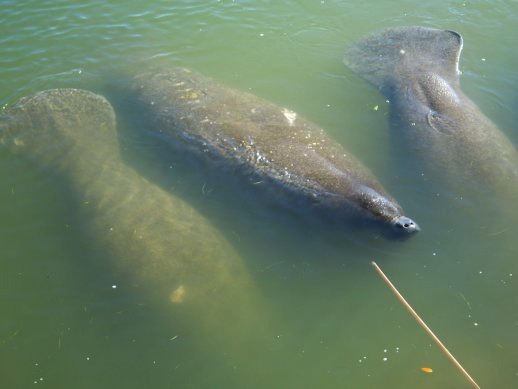 Homosassa Springs Wildlife State Park – If you go to Florida at a time when Manatees aren’t at the Old Haulover Canal then why not pay a visit to Homosassa Springs Wildlife State Park? It has manatees there the whole year round. There are also other animals there such as Eagles, Alligators and Lu the Hippo who we found to be a bit of a show off! That’s all for my Florida travel guide. I hope you’ve found it useful if you plan on visiting Florida or if you just wanted to read about Florida and some of the places it has to offer. Now why not look at my Scotland Travel Guide? I’d love to go back to Florida and explore a bit more. There’s so much to do, two weeks was not enough!